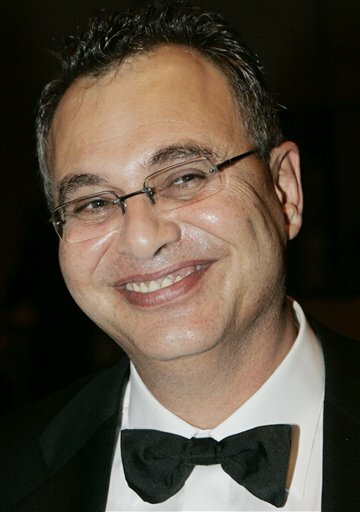 Date: Thursday, 10 August 2006, 2:11 p.m.
Jacob "Kobi" Alexander, the Israeli founder of Comverse Technology, one of the leading Mossad companies involved in the terror attacks has fled justice in the United States and escaped to Israel with at least $57 million of ill-gotten gains. New York - Describing a brazen scheme to manipulate the granting of options, federal prosecutors have charged three former executives of Comverse Technology with mail fraud, securities fraud and wire fraud. In charging the former executives on Tuesday, prosecutors said they had used fictitious employees to create a secret slush fund of options to be distributed to favored employees. The former chief executive, Jacob Alexander, who had built Comverse into a $1 billion leader in the communications software market, did not appear in court and is believed to have fled to Germany or Israel, according to a person briefed on the investigation. A warrant was issued for his arrest. Alexander is highly regarded in Israel, where he once owned a stake in a Tel Aviv professional basketball team and where Comverse has extensive business operations. In late July, he wired $57 million to an account in Israel, according to court filings from the Justice Department. Millions more are believed to remain in his accounts in the United States, which prosecutors have asked to be frozen. Kobi Alexander should be arrested and interrogated about his knowledge of the events of 9/11. His company acquired the other Mossad firm, Odigo, shortly after it was revealed that Odigo employees had been forewarned of the attacks on the World Trade Center. This is the tip of the Israeli criminal mafia who is behind the terror attacks on 9/11. Kobi Alexander the Israeli crook who owned the Mossad companies who had clear foreknowledge of the terror attacks of 9/11. Alexander transferred $57 million to Israel and fled to Israel as a fugitive from justice. Why didn't the police arrest him before he was able to get away? Who warned him and allowed him to flee? This man is connected to the terror attacks of 9/11. Register to post at Bring 'em On! - then Log in and Bring 'em On!! !